Nottingham Big Triathlon: My first big race of the season was at Holme Pierrepont for the Nottingham triathlon. This course is arguably one of the best known in triathlon, used for the Outlaw race series, the National Relay Championships and of course the Nottingham Triathlon. Its capacity and history mean that no event organised here is ever a small one and on the day some 850 triathletes competed for age group honours in a race that was also being used as a European and Worlds qualification race for the GB age group team. Reflecting the numbers involved, the swim had about 650 metres of traffic and 100 metres of free water. I seemed to swim the first 650 off the back of other peoples limbs, such was the density of triathletes in the water. Out of the water and onto the bike, I kept a metronomic cadence and maintained an average speed of 24 mph which isn’t bad for someone built more like a climber than a club time trial champ. Switching to the run, I had enough left to give it my all and managed to eat up the field, recording the fastest run split of the entire race and winning my age group. 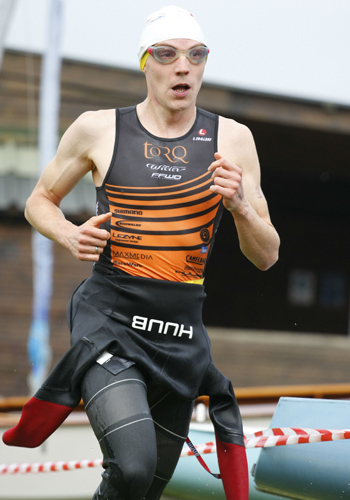 This has to be my single best performance in a triathlon to date and I was happy for it to be in such a big race. 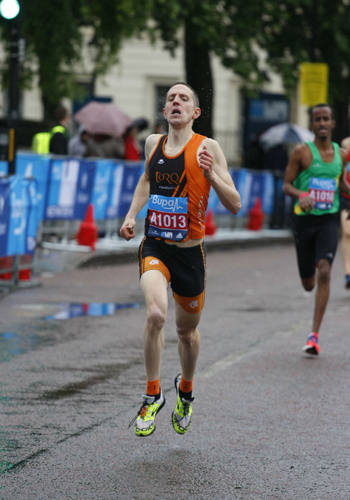 Bupa Mile: Whilst my main focus switches to triathlon over the summer months, I do like to throw in the odd piece of speedwork now and then and the simplicity and romance of the mile has always appealed to me. The Bupa Mile is part of the Bupa race series that attracts some of the world’s best runners and focuses on city centre locations. The day itself was one of non-stop drizzle, which made the chances of a personal best on the St. James Park road course unlikely. I carefully surveyed the course and tried to mark out waypoints in my head. I’ve always thought a good mile came down to precise calibration of effort and I usually split the distance into four 400 metre segments and adjust my effort accordingly: 1st 400) Easy 2nd 400) Moderate 3rd 400) Hard 4th 400) Giving birth! I’m happy to say my tactics worked well on the day. At 400 metres I was nowhere in the race, maybe top 20 as the field let the atmosphere get the better of them. Between 400 metres and the half mile mark I moved through into the top 7. Between 800 and 1,200 metres I moved from 7th to the top 4 and in the last 400 I pushed it out further and managed to nab 2nd in the last 200 metres! Short glories over, it’s back to the long haul of triathlon! 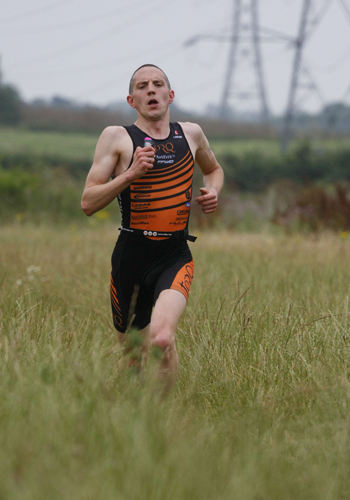 Hillingdon Race series: This 3 race series of triathlons and duathlons has been on the annual triathlon circuit longer than any other race in UK triathlon history and it’s easy to see why. 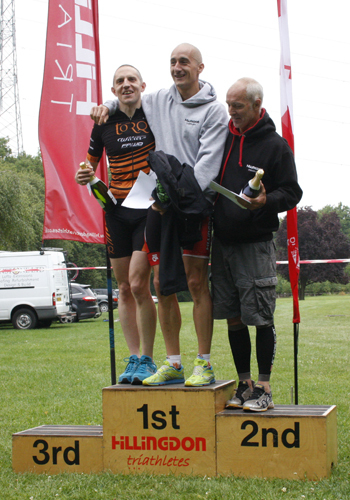 The race is organised by a club, Hillingdon triathletes, so has a friendly and less corporate atmosphere than more commercial races and is run in the unusual swim, run, bike format. Last year this race was my first ever open water triathlon, but for this year I decided to race all 3 in the series and compete for the overall race title. I managed to complete the series, finishing 2nd overall and 1st in age category. Most positive of all however was the fact that my times in each subsequent race have got quicker and quicker.